Mistakes by doctors and physicians are one of the top causes of death in the US. Many medical researchers are dedicated to determining and reducing the causes of these errors, eliminating what are largely preventable deaths. According to a recent report, one of the most common causes of medical mistakes is faulty communication between medical professionals in hospital settings. Learn more about the report below, and contact a knowledgeable New York City medical malpractice lawyer if you’ve been the victim of a medical error in New York. 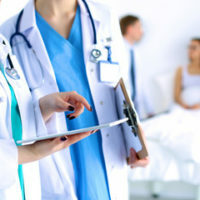 The recent report was published by CRICO Strategies, a private research firm associated with a large hospital insurer. The firm analyzed records associated with 23,658 medical malpractice claims filed between 2009 and 2013, documenting the causes of these errors and the resulting injuries to patients. The firm concluded that over 7,000 of the medical mistakes that resulted in claims had been caused by communication failures. At times, these lapses in communication were caused by a failure to relay phone messages from patients to physicians. In other incidents, nurses failed to communicate with doctors about a patient’s reported symptoms or requests. In 1,744 of these over-7,000 incidents, patients suffered fatal injuries as the result of the failure to communicate. The report describes the facts underlying a number of these malpractice claims to illustrate the simple failures in communication that can result in serious injuries. In one case, a woman undergoing a caesarian section requested that she have a tubal ligation (have her “tubes tied”) while in surgery to deliver her baby. Unfortunately, this message was not relayed to the obstetrician who performed the surgery, but the patient did not know that her tubes hadn’t been tied. The patient filed a malpractice claim against the physician when she subsequently became pregnant. In another case, a patient reported having abdominal pain after surgery, and a nurse noticed that the patient’s red blood cell count had fallen. The nurse failed to convey these symptoms—possible signs of internal bleeding—to the doctor. Ultimately, the patient died of an internal hemorrhage. Many of these communication failures occur during patient handoffs, when physicians who worked an earlier hospital shift hand their patients off to the incoming shift of physicians. In the rush to go home for the exhausted group of doctors ending their shift, it can be easy to forget to mention important facts and developments. In response to this phenomenon, researchers created the I-PASS system, an organized system for conveying important information during handoff. One study found that there were 23% fewer medical mistakes when doctors used the I-PASS system during handoff. Despite evidence supporting the use of I-PASS, not all hospitals use the system, possibly to the detriment of their patients. If you or a loved one has been injured by a medical mistake while receiving treatment at a New York hospital, find out if you’re a good candidate to file a claim for money damages by contacting the knowledgeable and effective Manhattan medical malpractice lawyer Leandros A. Vrionedes for a free consultation at 212-889-9362, or in Queens at 718-777-5895.